Equipment is an essential part of running a business. It is often the case that businesses may not have the funds readily available to purchase equipment to meet customers’ demands or improve their business. That is where leasing comes in. For many businesses, leasing is not uncommon. In fact, it is estimated that over eighty percent of smaller businesses lease their equipment. Business equipment leasing makes it possible for companies of all sizes to conserve their cash and keep outflow and profits better aligned. Banks often charge you a fee on your line of credit. With equipment leasing you are only charged for what you use. Flexible payment plans and lease terms are created designed with your business in mind. 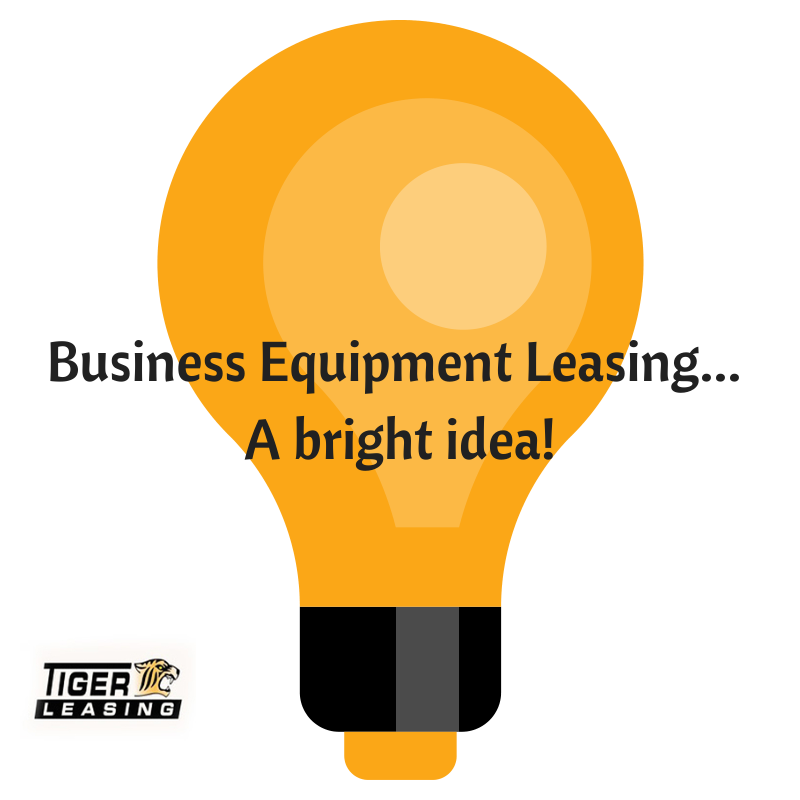 At Tiger Leasing, we work with reputable equipment vendors to give you the most up-to-date equipment on the market. Our leases finance 100% of the cost of the equipment. Lease payments are also fully tax deductible as an operational expense. We offer several leasing program options that banks can’t match. Use the money you saved from leasing your business equipment for other business expenditures such as marketing or expansion. And if at the end of the term you want to purchase the equipment we have a Lease Purchase Program available. Interested in learning more about the benefits of leasing or the programs available? Contact a Tiger Leasing representative today! Why take the risk of waiting when you can have the most advanced technology right now by leasing your business equipment through Tiger Leasing?